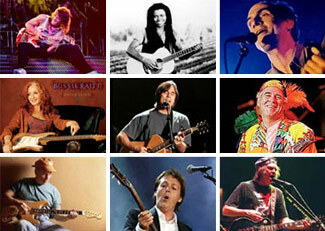 Classic Artists Today features the wide spectrum of rock, pop and soul every week with the C.A.T. flair! Each week you'll get a focus that changes from week-to-week. Featured sections include: Interviews with the Musicians, Shows with themes (i.e. British Artists, Duets, 70's Artists, etc.) Each week your listerners will want to tune in to see what is featured. This will help to insure loyal radio listeners! Classic Artists Today and Coool CAT are now available On-Demand! via our Home Page. Scroll down and on the right side you'll see the links to both "CAT" and "Coool". These are for the current week's show. Please keep in mind that our Radio Affiliates broadcast/stream these shows in much higher quality - for your listening pleasure!